If you plan to move to Hawaii, you probably have many questions and want to have them answered before you move to the islands. 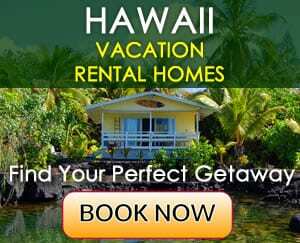 Since we live in Hawaii and we know the islands well, we will provide the answers to some of your questions about moving to Hawaii right here. Which island should I move to? This is a question that only you can answer. However, we can help you with some useful information and tips. First of all, if you can afford it, plan a trip to Hawaii before you actually move here. Once you have explored the islands and seen them with your own eyes, you will have a better idea where you would feel most comfortable and happy to live. Each one of the six islands is unique not just in geography, but also in the lifestyle they offer, the cost of living, salaries and job opportunities. But no matter which island you choose, keep in mind that salaries in Hawaii are generally lower than in the continental U.S., even though the cost of living is higher in the islands. The island of Oahu, nicknamed "The Gathering Place," is the most populated of the Hawaiian islands (953,207 people as of the 2010 Census). It is where the capital of Honolulu and world-famous Waikiki are located. Most people who choose to move to Hawaii choose Oahu because it has the most job and entertainment opportunities and higher salaries compared to the other islands. Oahu is the busiest of all Hawaiian islands and Honolulu is quite similar to many major American cities with high-rises, busy highways and traffic jams. Main shopping malls, such as Ala Moana Center, and certain beaches, such as popular Waikiki Beach and Hanauma Bay, can be quite crowded on most days of the year. Most jobs on Oahu are in tourism, government/military, construction, agriculture, retail sales and healthcare. The island of Maui is slightly larger in size than Oahu, but only 144,444 (as of 2010) people live here. Maui is therefore a lot less crowded. The variety of jobs available on Maui is smaller than on Oahu. The two main industries are tourism and agriculture. Most people would agree that Maui is a lot less hectic than bustling Oahu, but not too sleepy to get bored, especially if you live in the Kahului, Lahaina and Kihei areas. The Big Island of Hawaii, as its name implies, is the largest of the Hawaiian islands. It has a population of 185,079 (as of 2010) and like Maui, tourism is the island's main industry, centered mainly on the west shore of the island (Kona Coast). Other main industries include agriculture (such as macadamia nuts, orchids and Kona coffee), cattle ranching and astronomy. The island of Kauai has a population of 66,921 (as of 2010) and like on the other islands, tourism is its main economy, followed by government and retail. The islands of Molokai and Lanai are the most difficult when it comes to finding a job, but what they do provide is solitude. Molokai's population is just 7,345 (as of 2010) and Lanai's population is 3,135 (as of 2010). Molokai has the state's highest unemployment rate at 5.6% (as of March 2017). On Lanai, most people work at either one of the island's two luxury hotels, the Four Seasons Resort Lanai and the Four Seasons Lodge at Koele. So you either are lucky and get one of those jobs in the hotel industry or move off-island. Life on Kauai, Molokai and Lanai is very laid-back and the nighttime entertainment options are very limited. But if you're looking for peace and quiet, you'll find it here. The best time to arrive in Hawaii is between January and May and between September and November. During these times, fewer tourists come to the island, so affordable flights, car rentals and short-term accommodations are easier to find. Personal belongings: It is best to bring as few belongings as possible. Here in Hawaii you can find a furnished place with all the necessary equipment for living. Therefore, it won't be necessary to bring cooking pots, silverware, furniture, etc. Bring your personal keepsakes and clothes. You will need T-shirts, shorts, a light jacket and jeans. If you need more clothes there are plenty of choices when it comes to clothing stores, from affordable (such as Ross Dress for Less) to upscale boutiques (such as Gucci and Prada). Make sure you bring all your important documents with you, including ID, personal papers, medical records, prescriptions, etc. Keep these documents in a safe place in your carry-on luggage. If you have too much stuff you want to bring to the islands, you may ask a friend to help you. Have some of your friends ship some of your belongings via mail. USPS is an affordable, reliable and fast shipping method. It usually takes between four to ten days for packages to be delivered from the continental U.S. to Hawaii (via standard shipping). 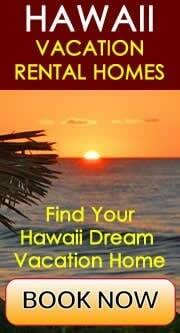 There are also shipping companies that offer moving to Hawaii services. Shipping a car: Shipping a car to Hawaii can be arranged with the following shipping companies: Horizon Lines, Matson and Pasha Hawaii. The cost of shipping a car from the U.S. West Coast to Hawaii is around $1,100 per standard vehicle. This rate does not apply to any vehicle exceeding 21'8" L x 8' W x 7' H, or vehicles which have built-in accommodations for cooking or sleeping. Plants: Plants can enter Hawaii only after inspection. If you have plants you want to carry over to Hawaii, contact the U.S Department of Agriculture for more information. Here is their address: Animal and Plant Health Insurance Service, Terminal Box 57, Honolulu International Airport, Honolulu, Hawaii 96819. Pets: Hawaii is very strict when it comes to importing pets. The first thing you should do in order to import a pet into the state of Hawaii is to contact the Hawaii Department of Agriculture at least 4 months prior to moving. They will provide you with the necessary information and instruction. For more information, please visit http://hdoa.hawaii.gov. To rent a place in Hawaii is significantly more expensive than in most places on the U.S. mainland. 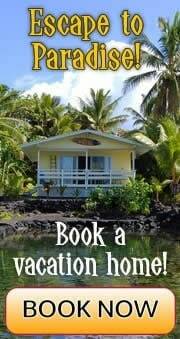 A studio on Oahu, for example, costs anywhere from $800-$1,200+ per month, depending on the location. A two-bedroom apartment or a house typically starts from $1,800 per month and up. Luxurious newly-built one-bedroom condos typically rent for $3,000 and up. When looking at the average wage people make in Hawaii, it is clear that it falls far short of the average wage required to rent a two-bedroom apartment, according to 2016 data made available by the National Low Income Housing Coalition. The Fair Market Rent for a two-bedroom apartment in Hawaii is currently $1,780. To be able to afford this rent without paying more than 30% of income on housing, a household has to earn $5,932 per month or $71,184 per year. Assuming a 40-hour work week, 52 weeks per year, this level of income translates into a hourly Housing Wage of $34.22 per hour. This U.S. map below shows the hourly wage a household must earn in 2015 (working 40 hours a week, 52 weeks a year) in order to afford the Fair Market Rent for a two-bedroom apartment without paying more than 30% of their income, according to the National Low Income Housing Coalition. Hawaii ranks No. 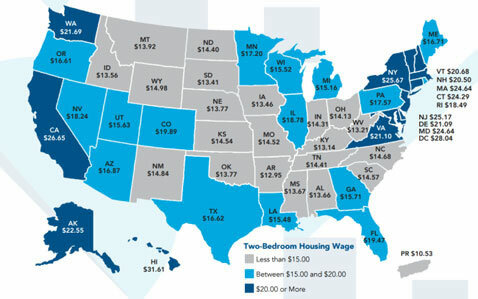 1 in the United States in housing costs (housing wage of $31.61 per hour). The estimated hourly mean renter wage in Hawaii is $14.53 in 2016. So assuming a 40-hour work week, a household must include 2.2 workers earning the mean renter wage in order to afford a Fair Market Rent two-bedroom apartment. The figure below lists the average fair market rent for a two-bedroom apartment, the hourly mean renter wage and the household income needed to afford a fair market rent two-bedroom apartment. According to the National Low Income Housing Coalition, there are 43% of renter households in Hawaii (2010-2014). Buying a house is beyond the reach for many people and often times so is renting an apartment. That's why many local families share a house or apartment with their extended family. Singles may choose to share an apartment with one or several roommates. And then there are the many homeless. Statewide, between 12,000 and 15,000 people are homeless in Hawaii at some point of the year and at least 6,000 are homeless on any given day, according to the Hawaii H.O.M.E. Project. In Hawaii there are currently 487 homeless per 100,000 people, which is the highest rate per capita in the United States, above New York and Nevada according to federal statistics. The statewide seasonally adjusted unemployment rate in Hawaii was 2.7% in March 2017 (compared to 4.5% in the U.S.), according to the Hawaii State Department of Labor & Industrial Relations (DLIR). In March 2017, there were 677,700 people employed in Hawaii and 19,100 people who were unemployed. Generally speaking, in many job categories, people make less in Hawaii than they could make elsewhere even though Hawaii's cost of living is one of the highest in the U.S. Below is a chart that lists the annual mean wages for a variety of careers and compares the average wages in Hawaii with a few locations on the continental U.S. Although about 90% of all food in Hawaii is imported and things cost more here than on the U.S. mainland, you can buy food at relatively affordable prices at chains like Costco, WalMart and Sam's Club. Some regular supermarkets also have special sales. A good idea for staying within your budget is to buy what's on sale, not what you want to eat. If you like dining outside, things can add up quickly. The average cost for a breakfast in Hawaii is from about $4 to $7, for lunch from about $5 to $10 and for dinner about $12 to $30 and more. Waikiki is well-known among visitors to Hawaii and many of the buildings here are actually hotels. If you choose to live in Waikiki, you will be close to Waikiki Beach and Diamond Head. If you are into nightlife, Waikiki is a perfect place to live. Waikiki has nightclubs, restaurants, shows, bars and much more. A disadvantage of living in Waikiki is that there is only one grocery store (called Food Pantry), which is also very expensive. The only other place you can buy food at are the ABC Stores, which are also expensive and limited when it comes to groceries. However, ABC Stores are easy to find, since they are located all over Waikiki. Public bus: On Oahu, the public bus transportation system is conveniently called TheBus. It is an affordable ($2.50 per ticket) and convenient way to get around on the island. There are many bus routes that cover most areas of Oahu. For more information about the cost of a ticket, routes and schedules, visit www.thebus.org. On Maui, there is the Maui Bus. The fare is $1 per boarding. For routes and schedules, visit www.co.maui.hi.us. The Kauai Bus offers public transportation on Kauai. Visit www.kauai.gov for more info. And on the Big Island, there is Hele-On Bus, www.heleonbus.org. On Molokai, MEO (Maui Economic Opportunity) offers a Rural Shuttle Service at no cost. Visit meoinc.charityfinders.org/Transportation for more info. There are no public transportation services on the island of Lanai. Taxi: Taxi services are available on all islands. Traffic: Traffic is a real problem on the island of Oahu. Rush hour is early in the morning between 6 a.m. and 8 a.m. and in the afternoon between 4 p.m. and 6 p.m. Parking: Parking is one of the main transportation issues on the island of Oahu. If you work in downtown Honolulu or in Waikiki, it is highly recommended that you rent a parking spot on a monthly basis in case your company does not provide one.